San Francisco Restaurant: What If iPad Was Plate? A San Francisco restaurant with three Michelin stars has discovered an incredible new iPad hack—it can also be a plate. 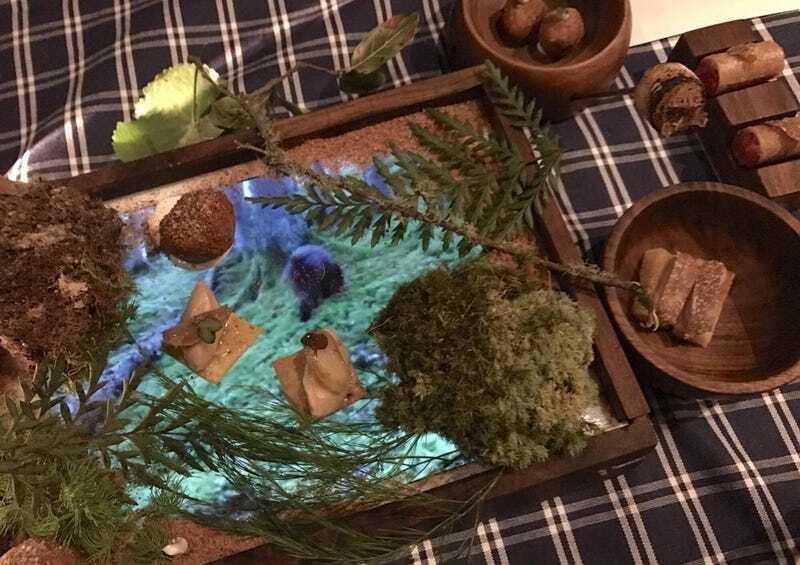 Quince, one of the tech empire’s most prestigious restaurants, serves a dish called “A Dog in Search of Gold” that includes white truffle croquettes placed atop of an iPad playing a video of dogs hunting truffles. Quince has 20 iPads, and puts them in a custom-made box—hand-crafted by a local artisan, naturally—so the food doesn’t actually touch the device. This feels like a cop-out. If you’re going to use a $600 device as a plate, don’t be such a baby about it. Quince isn’t the only place to use this incredible iPad hack. A 2015 article from the Daily Mail shows a UK restaurant using an iPad as a plate without any sort of box or barrier between your food and your tech. There’s also a 2010 TechCrunch article about a Japanese Apple fan using the device to eat sushi off. “Living in San Francisco for over 20 years, I have witnessed the tech boom and I wanted to combine a little bit of gastronomy with technology and a little bit of education,” Quince chef Michael Tusk told the Mercury News. How is this dish—which is part of prix-fixe meal that will cost you $220—educational? It spreads awareness about what the Mercury News calls “a particular knowledge gap.” Most people don’t know that dogs are used to find truffles. For example, I didn’t know about that until I read a news article about a restaurant using iPads as plates. Now I’m aware.